Choosing an eco-friendly-christmas-tree or other environmentally-friendly-xmas-tree alternatives this season will help protect our forests. But, what constitutes the best tree choices? There are different viewpoints in respect to what type of a christmas tree to get, where and how to get it, and does it reflect an environmentally responsible attitude? Every year during the holiday season, millions make the trek out to the forests to find the perfect family christmas tree. Just saying this, always reminds me of the classic movie "Christmas Vacation" and what poor Clarke Griswold (played so well by Chevy Chase) goes through to get it. That movie always makes me laugh, and I have to watch it every Christmas as a rule. 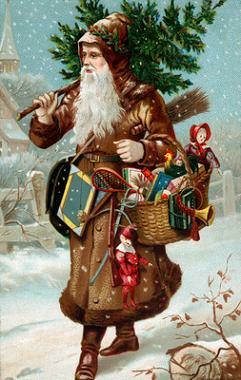 People have been making this traditional journey year after year. The truth is, these trees took years to grow, but for a few weeks of our pleasure, the tree is used and then discarded. And, who doesn't want a real christmas tree on display in their house? I always did, regardless of their little irregularities that could always be managed and fixed easily. We could always find enough extra decorations or a new spot to put the tree to cover up a gaping hole or a twisted trunk. It didn't matter. Just the natural smell of the tree more than made up. 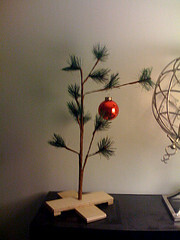 We've all had those great Charlie Brown christmas trees at some point in our lives. Many times I have heard the words "Mom! Where did you get THAT tree?" I would just laugh, and say "there is no such thing as an ugly tree; once decorated it will be beautiful." And it was. Personally, I love them, even with all of the things you have to deal with, like the sticky pine needles, the string and the nail in the wall to make them balanced and stay upright, and even the horrible christmas tree stand that NEVER EVER worked properly. The air sure has been blue around here at times. My husband and I do not work well together trying to make sure a tree is properly secured and standing straight. In addition, we worry about the tree being a fire hazzard, not to mention the needles all over the place, and finding them for months and months to come long after christmas has come and gone. Not my video, but I can certainly relate to this. As the years have gone on though, I did change over to an artificial christmas tree for a long time because of all of the above reasons. I did get tired of the "blue air", the needles, the "nail and the string routine" among other things. Pressure for the real thing prevailed, and we were back to the real tree again though eventually. In the meantime, I took the old artificial and continued to use it on my deck. It was decorated with lights, a few ornaments that could stand the weather, and I strung suet balls on it for the birds. It was certainly a good way to utilize the concept of christmas tree recycling season after season. It served a purpose for the birds, and looked quite pretty actually as a large decoration. 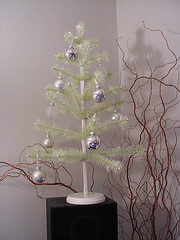 The artificial christmas tree, as opposed to the eco-friendly-christmas-tree (real) though is damaging ecologically. These trees often contain PVC's (polyvinyl chloride) and lead, which have been known to cause allergic reactions in people, and potentially other ailments. It's not comforting to know that the artificial tree is referred to by some as "poison plastic." The artificial christmas tree doesn't last forever, and eventually they are burned. Poisonous chemicals not good for humans are released during the process. It's a personal choice overall. You can take comfort in knowing, if you choose, that you are NOT cutting down a tree every year, and putting a ready-made to good use for many years to come. Now if you feel guilty about taking a fresh cut christmas tree from the forest on your own, get an eco-friendly-christmas-tree from the christmas tree farms where they are specifically grown with the holiday season in mind. It helps the economy, and the farmers who own the tree farms. For every tree that is cut, new trees are continually planted to replace them. It is a christmas tree crop that provides an environmentally-friendly-xmas-tree and a service to the public. Look for the eco-friendly-christmas-tree farms that don't use chemical pesticides and have natural ones in place. When I was finished with my real christmas tree, I would always stand it up in the snow outside, and put suet balls on it for the birds. It lasted quite some time until it came time to take it away. Trees can be turned into christmas tree mulch if put through a chipper, and this is normally the procedure at the landfills. The organic-christmas-tree may be an alternative to the freshly cut tree. A living christmas tree can be purchased from any small local farm which reduces transportation costs and your carbon footprint. Make sure these trees are certified organic. No harmful pesticides would have been used in the raising of these trees either. Where you live will determine when you can replant; the tree isn't meant to be in your home longer than a week. You will have to keep it well watered. These trees are also sold after the holiday season at a discount to landscapers and developers for replanting in watersheds, parks, church and school properties. Some people will choose to keep the tree and replant them themselves in their own backyards, or have them planted in neighbourhoods where there is nothing green at all. This is a great option for an eco-friendly-christmas-tree, as they continue to provide a habitat for animals, they create oxygen while absorbing carbon-dioxide. The industry also provides employment opportunities. You may also opt for a christmas tree rental. 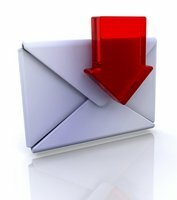 Check if this service is provided in your area. You can normally choose from any number of different sizes and kinds of trees such as spruce, douglas fir, norway fir, scotch pines plus more. 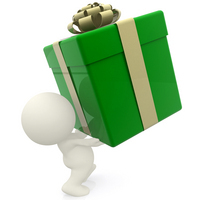 The live potted christmas tree will arrive within a reasonable period prior to Christmas. You will get instructions on how to look after it and what you can and can't do with it. Fake snow and tinsel is often not allowed, as it can't be removed very well. The tree is collected after the holiday, replanted, and cared for until next the next holiday season. You can even adopt a christmas tree, to be sure you get the same one next year if you wish. This is an excellent form of having an eco-friendly-christmas-tree in your home. 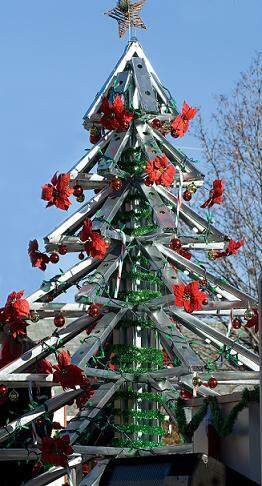 People do many different things instead of chopping down the traditional christmas tree. There are "feather tree kits" or "ornament trees" that can be purchased for your special treasures you don't want to risk getting broken. 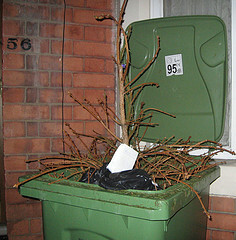 And, they keep for years to come, if this is your idea of an eco-friendly-christmas-tree. Some have even been made out of recycled materials, which is great for reducing our carbon footprints at christmas time. Some trees are like nothing we may have ever seen before. 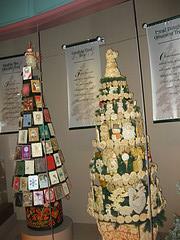 There is the beautifully unique card tree, and bread dough tree. 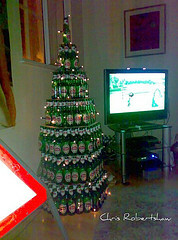 And yes, even a beer can tree for the single man. It can certainly be recycled afterwards. Now that's using the imagination for an eco-friendly-christmas-tree. Some families simply gather large branches, decorate them and put them in a large vase on a table or in a basket on the floor, whether it's of real or artificial materials. 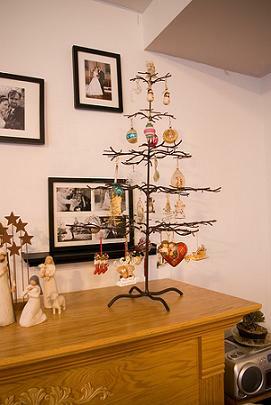 For them, space is a consideration, cost is an issue, simplicity is their wish, and this is their version of the eco-friendly-christmas-tree.